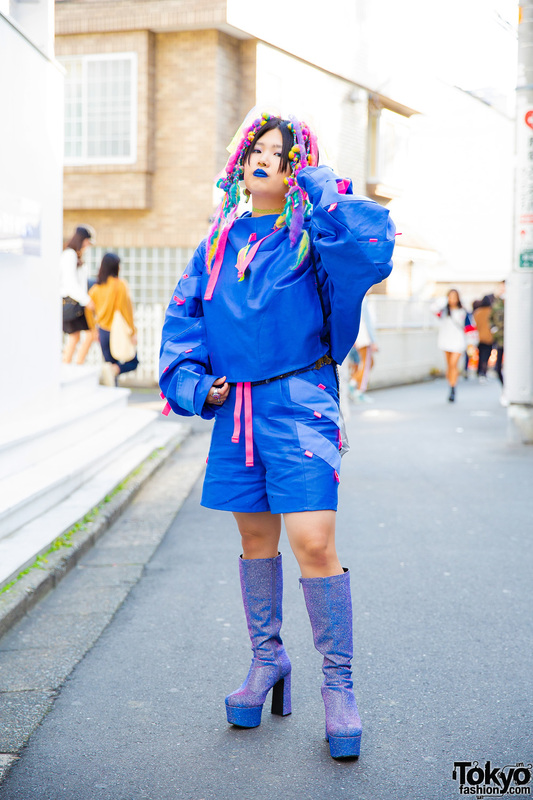 Harajuku girl with all blue streetwear and colorful hair falls. 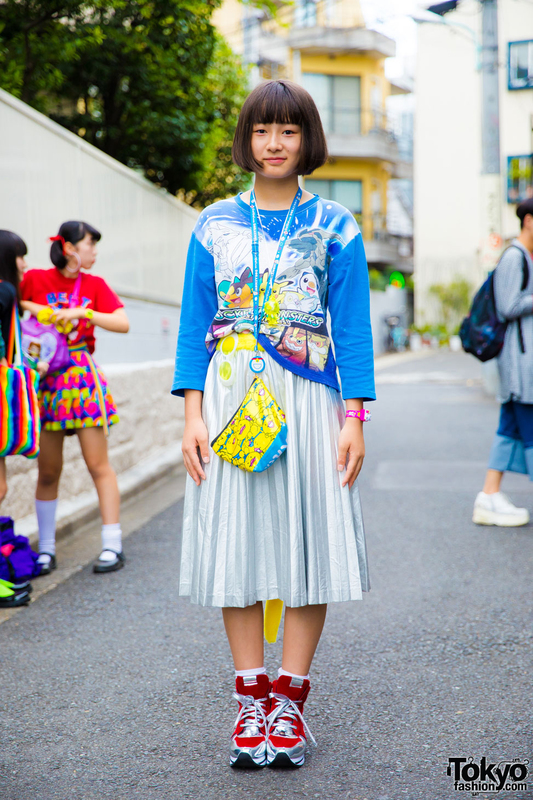 Japanese student showcasing a school-girl chic look while out and about in Harajuku. 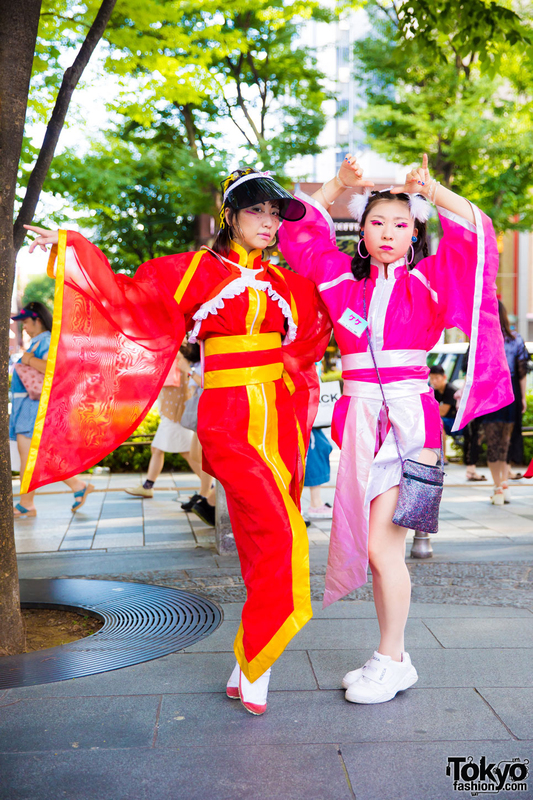 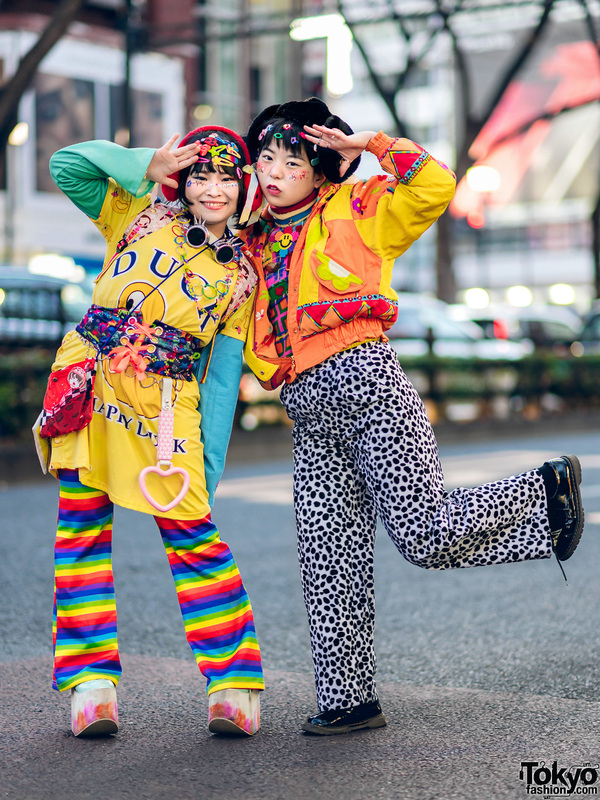 Dancing Harajuku girls wearing colorful kimono fashion inspired by the famous 1970s Harajuku Takenoko Zoku subculture. 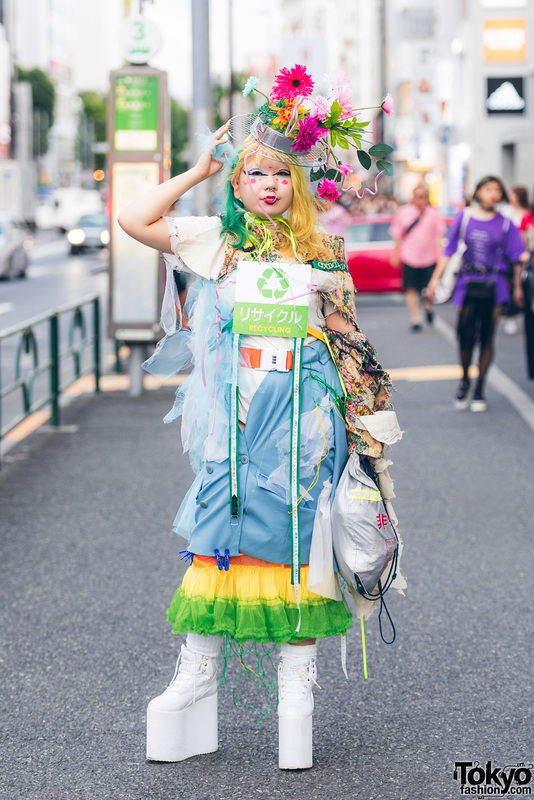 Harajuku girl in colorful handmade ensemble with layered tops, jacket worn as skirt over a multi-colored ruffle skirt, white socks, white platform boots, and a handmade flower head dress/hat.